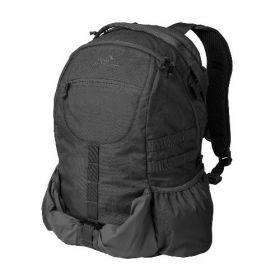 Advanced backpack for any use: from EDC to short hikes, also as a tactical backpack. Quick and easy accessibility of essential items was the focal point of the design work. Main chamber has got a velcro panel to attach inserts compatible with our Versatile Insert System, an elastic band cuffed pocket and a zippered one. Organizer pocket for small items is situated at the top of the backpack, and is accessible without the need to open the main chamber. Front of the pack has a soft-lined sunshades / electronics pocket, and velcro panels allow to attach additional VIS-compatible inserts. Two open top side pockets carry windshirt or water bottle. The front is covered with a so-called Beaver tail panel, which holds a biking, climbing or tactical helmet. If the backpack is used simply as an EDC item, the flap can be simply rolled and secured, to avoid having to unbuckle it every time to take something out. 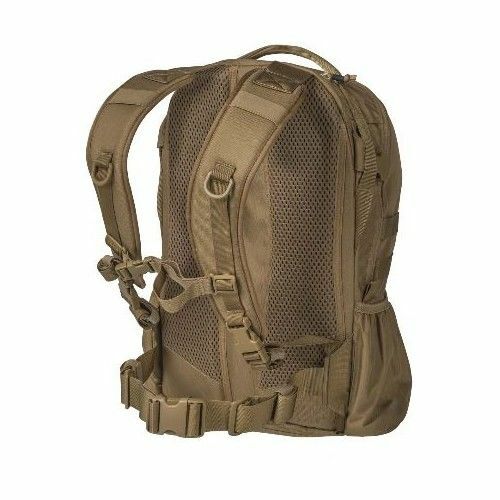 The backpack is fitted with comfortable, profiled straps, rigid back panel as well as the hip belt.